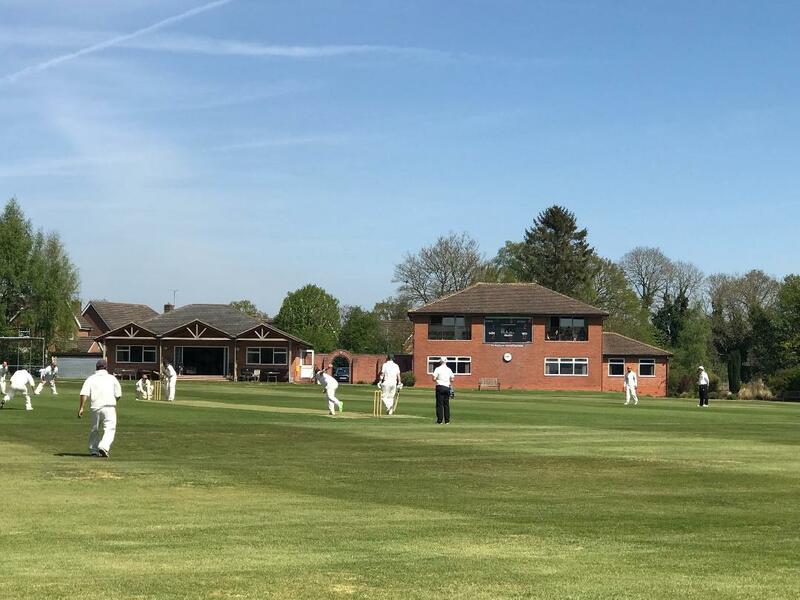 On a sun drenched Saturday 20th April, Kenilworth hosted Hampton and Solihull in their opening Warwickshire County Cricket League Division One fixture of the 2019 season. Kenilworth asked Hampton to bat first, but lost opener Pickering early, bowled by Muhammed Naeem for three. James joined Lunn, and together they began to steady their sides innings, but the Kenilworth bowlers kept things tight, the visitors making steady progress until Joey Poole got a deserved wicket, having James caught by Sunny Ahmed for 28, Poole bowled a fine spell from the start, twelve overs straight through, taking 1 for 33, but on another day could have picked up more. Fahim then accounted for Lunn for 40. The home side never let Hampton get away, Joe Atkinson then turned the screw, bowling Friend for 23 and McKey for 1, Jones batting at number five, went on to make a solid 50 for his side, before the return of Naeem via a catch behind by Dan Horner did the trick, Taylor with 17 not out, but Hampton never got away from the Kenilworth bowling. The visitors ending their innings on 180 for 6 from their fifty overs. Naeem with 2 for 50 from 11 overs, Joe Atkinson 2 for 15, Joey Poole 1 for 33 from 12 overs and a wicket for Fahim with 1 for 14. After the tea interval, the Kenilworth openers Dave Edmunds and Chris Prophet looked to make a solid start in their sides reply, having put on 25, both openers fell in quick succession, Edmunds lbw to Palmer for 15 and Prophet bowled by Keyte for 11. With two new batsmen at the crease, Mo. Fahim and Connor Shingler looked to get their side back on track, together the pair began to build their side’s innings, taking the score to fifty then to a hundred, as the runs flowed from both players bats. Fahim and Shingler took their partnership beyond a century stand, with both players passing fifty, before Fahim was bowled by Keyte for a fine 68, as Kenilworth were close to the finishing line, Sunny Ahmed joined Shingler, together they saw their side over the line in the 41st over, Shingler finishing on a brilliant 70 not out on his league debut for the club. Kenilworth ended on 182 for 3, to win by seven wickets. For Hampton, Keyte taking 2 for 43 from 12 overs. Kenilworth take 20 points, as they start the new season in fine style. On Saturday 13th April, Kenilworth hosted Solihull Blossomfield for the clubs third pre season game of the season. Kenilworth batted first, with the opening pair Chris Prophet and Connor Shingler made a positive start against the Blossomfield bowling and ir soon had the scoreboard moving, putting on 56 off 58 balls for the first wicket, before Shingler was out for a positive 31 on debut, bowled by Jones. This brought Daniel Horner to the crease, he to looked to be positive, as he and Prophet putting on 37 for the second wicket, Prophet falling to Jones for 36. Horner was joined at the wicket by Sunny Ahmed, like Prophet, playing his first game of the season. These two took the game to the visitors, both Ahmed and Horner went on to record a half century each, the pair added 137 together, before Ahmed was run out for 56 off 52 balls with 4 x 4 and 3 x 6. Horner fell for a fine innings of 95 off the bowling of Sullaman, his innings containing 9 x 4 and 1 x 6. Kenilworth ending on a very decent 253 for 4 from their Forty overs. For Blossomfield, Jones took 2 for 23. In reply, the visitors lost opener Clarke without scoring, bowled by Shingler, leaving the visitors at 8 for 1. Opener Adidas and number three Chan’s began the rebuild, putting the home side under pressure, the pair added fifty together off 73 balls. The pair added 91 together when Chana was run out for 49, the visitors 99 for 2. Ahmed then removed opener Adidas for a fine 50, caught behind off Dan Horner off Ahmed, 105 for 3. Blossomfield then lost their fourth wicket on 113, Gopalan bowled by Tom Skinner for 6. Skinner struck again, bowling Verma for no score, the visitors in trouble on 119 for 5. The introduction of spinner Sam Leach had the visitors in all sorts of trouble, as he removed Stevenson for 22, Bentley for 18 and Sullaman for 7 in a six over spell of 3 for 24, as the visitors ended their innings on 175 for 8 from their forty overs. Apart from the Leach spell of 3 for 24 from six overs, Tom Skinner with 2 for 32 off eight overs and a wicket each for Connor Shingler with 1 for 29 off eight overs and Sunny Ahmed 1 for 16 off five. Kenilworth the winners by 78 runs with a good overall performance. 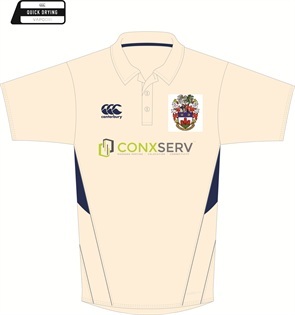 The 1st XI and 2nd XI Saturday League Fixtures have now been published on the Warwickshire County Cricket League website. The 1st XI will be placed in Division 1 whilst the 2nd XI find themselves in Division 8. The 1st XI who were in second spot at the start of play produced a rare poor bowling display and all round batting performance save for Sunny Ahmed, Muhammed Nayeem and Adie Sellar that condemned the side not only to defeat but also meant that the side disappointedly ended their 2018 season League campaign in 4th. spot only 7 points behind eventual Runners Up Highway Spartans, whilst Fillongley also won their match to achieve 3rd. place as both sides leap frogged the 1st XI on the final day of League cricket to deny them any chance of silverware after their season’s efforts. Nether Whitacre posted 266-7 from their 50 overs. Opener Titmus posted 58, whilst number 2 Broughton 21 as the pair put on 63 for the first wicket. Number 4 Knight added an excellent 87 and skipper Lawrence 32 in the side’s total that saw some 36 extras including 28 wides. Jorjeet Singh claimed 3-53 off 10 overs, Sunny Ahmed 2-45 off his 10 and Mo Nayeem 1-62 whilst Dave Edmunds accounted for a run out. Tom Booker took a catch and a stumping behind the stumps. Replying to the Nether Whitacre score, the 1st XI slumped to 23-4. Yet, it was an excellent partnership between Ahmed and Nayeem who got things back on track for the side with a superb 148 run partnership and the side looked well set for victory. Nayeem made a classy 96 (4 x 6 and 10 x 4) before he fell whilst Ahmed carried his bat and made an unbeaten 107 as he ran out of batting partners in the final over as the side were bowled out for 257. Adie Sellar made a solid 35 (1 x 6 and 1 x 4) in his knock after Nayeem had departed but they were the only three Kenilworth players to reach double figures in an otherwise dreadful batting display against an on song Nether Whitacre bowling performance and their joint efforts proved to be in vain. There were 5 noughts on the scorecard as the batsmen fell all too often chasing and handed Nether Whitacre victory with 2 balls of the match remaining, the final wicket falling to a run out. In fact, the remaining 8 other batsmen in the side to fall scored only 13 runs between them, the final 3 wickets falling for 2 runs as overs were running out and the side hit out looking for the win. So close but so far! Lawrence took 3-18 off 10 fine overs, Rawlings 3-46 off 8.3 overs, whilst Danks and Mousley took a wicket a piece for Nether Whitacre. Nether Whitacre 266-7 (20 points) beat Kenilworth 257-10 (7 points) (S. Ahmed 107*, M. Nayeem 96) to win by 9 runs. All in all, the side won 11 of their matches, drew 2, lost 6 with 3 abandonments which would have otherwise been a good season for them but was one that was tinged with sadness as they choked on the final day when within touching distance of some silverware for the Club. WELL DONE to them, in any case, for their season’s efforts. ROLL ON THE 2019 SEASON NOW. Division 1 – Winners – Moseley Ashfield 359 points, Runners Up – Highway Spartans 313 points, 3rd place – Fillongley 310 points and 4th. place – Kenilworth 306 points.